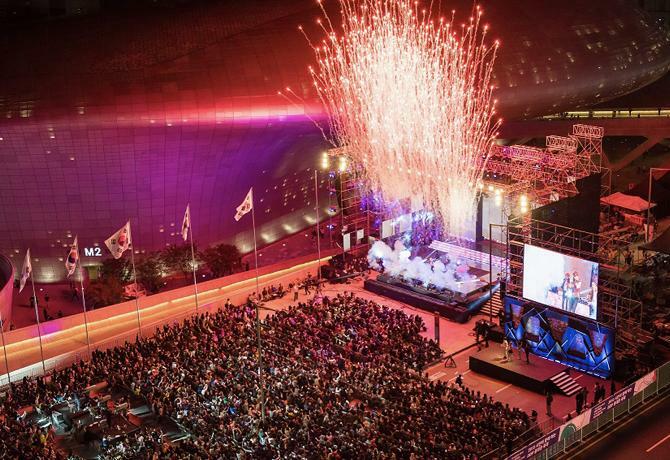 Discover new values here - Korea Unique Venue! A museum where you can see the entire history of South Korea from prehistoric times to the modern 20th century all at once. The museum includes six permanent exhibition halls and project exhibitions halls as well as a lecture hall and an outdoor open plaza, allowing various international events and cultural and science meetings to be held. Dongdaemun Design Plaza is an architectural structure designed by Zaha Hadid that is currently loved as a mixed cultural complex. 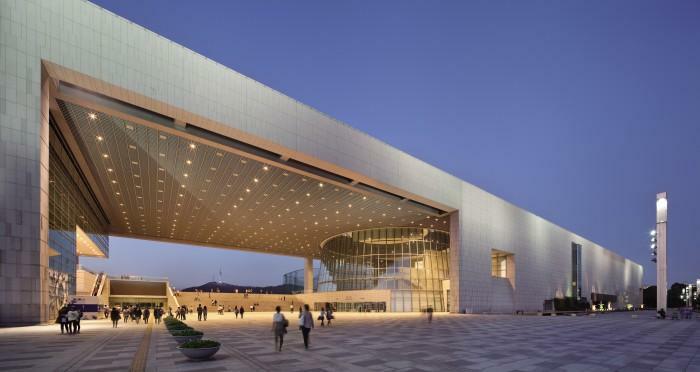 Maily performances, conventions, and fashion shows are held here and there are six simultaneous interpretation centers that allow DDP to be a location for international meetings. As a place first created for a dinner for the South-North talks in 1972, it is currently being used as a combined space for traditional culture and arts. 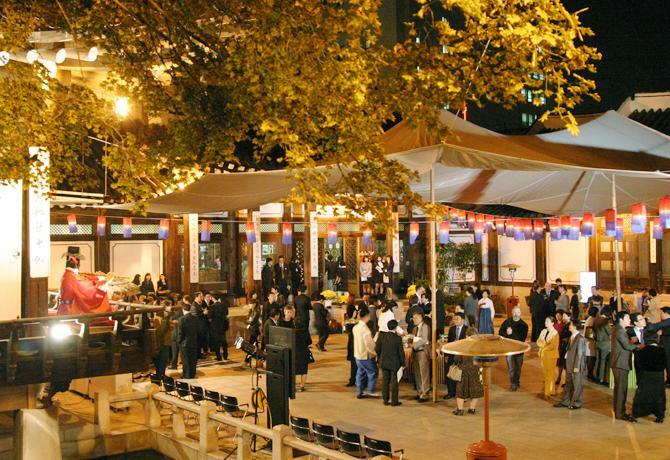 Samcheonggak has six hanok and an outdoor plaza available for small-scale gatherings, business events, and other cultural events. A floating island located on the artificial island Sebitseom. 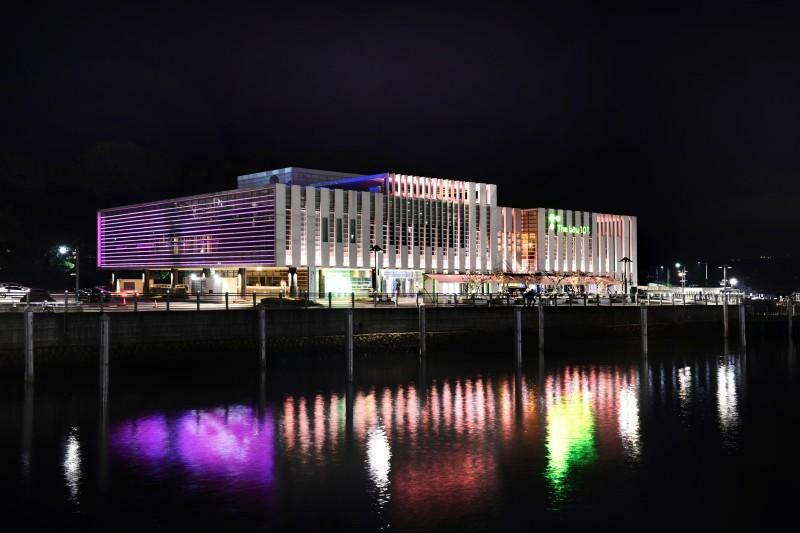 As an international convention facility suitable for international meetings or marketing or other business events, its unique feature is its exterior LED lighting system. It has a white dome-shaped convention hall 13 meters in height and a total of five banquet halls. A traditional complex cultural space built in 1957 for the purpose of publicizing Korea's traditional culture to foreigners. 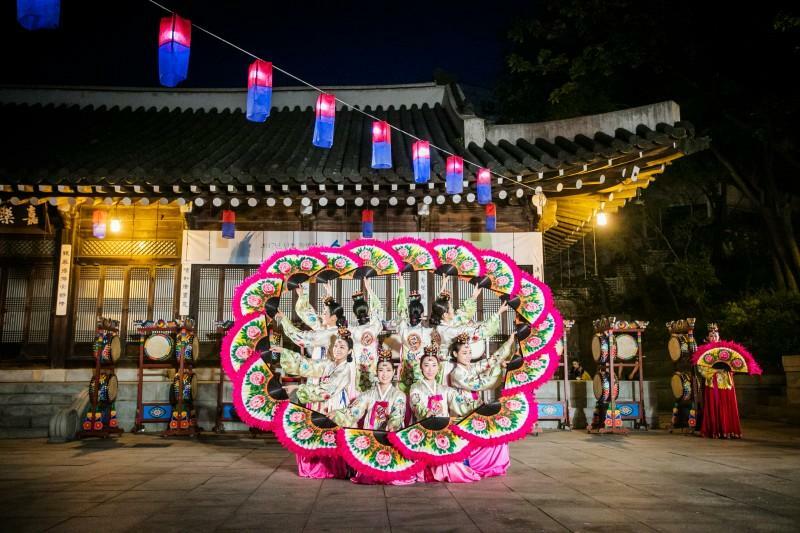 Visitors can enjoy various experience programs including traditional performances, kimchi-making, and hanji art. Established in 1992 by former ambassador Lee Bok-hyung and his wife who spent over 30 years in Latin America. 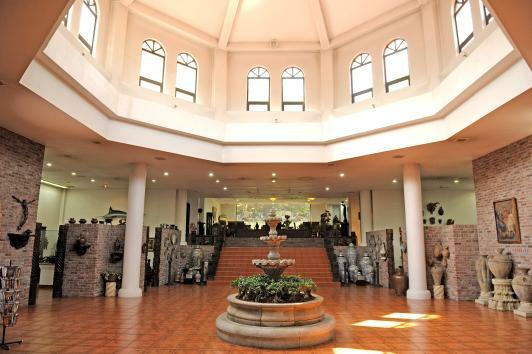 Visitors can enjoy a museum, art museum, sculpture park and other attractions as well as paella and tacos, representative foods of Latin America, at the restaurant in the museum. 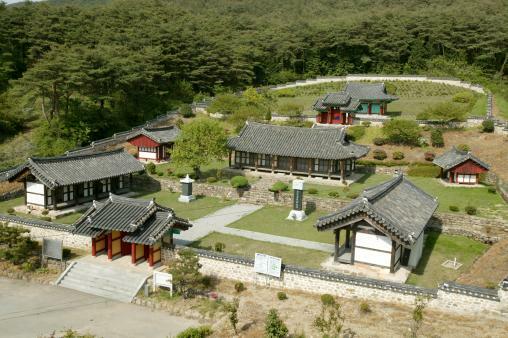 A theme park that recreated the appearance of villages in the Joseon dynasty. There are various exhibitions and events, etc. with a permanently stationed F&B team so menu adjustments can be requested by customers. 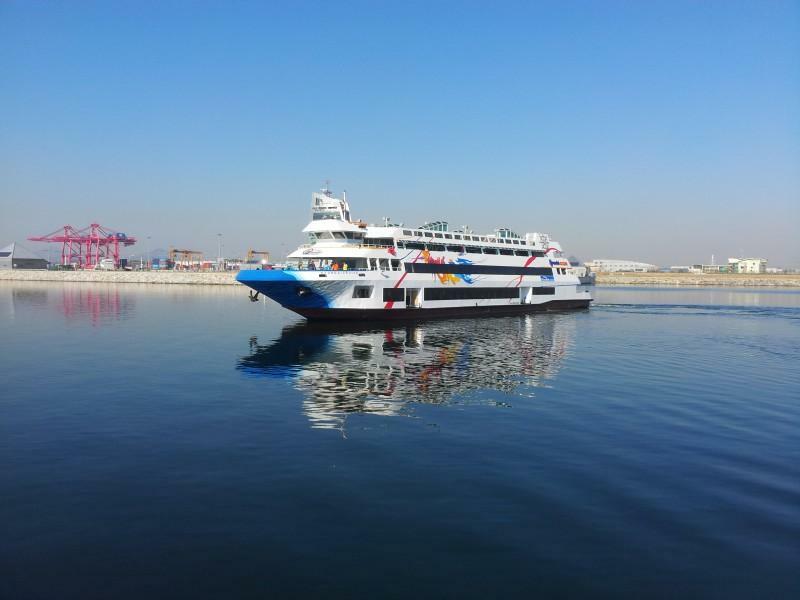 It is Korea's first tourist ship operating on the artificially-made Gyeongin Ara Canal. 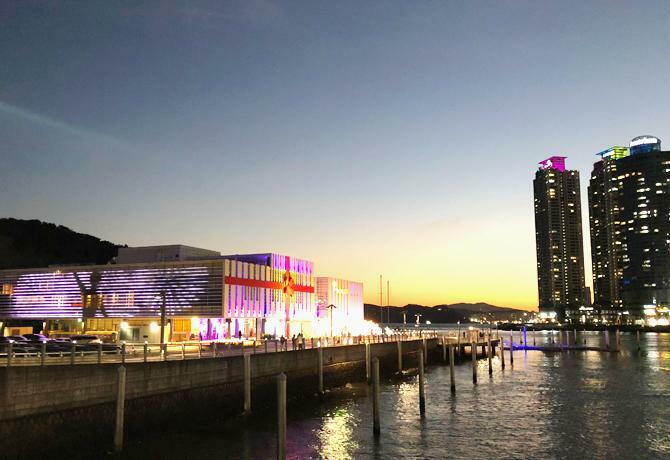 The four-story Hyundai Cruise ship contains two banquet halls (dinner theater 500 people, banquet 300 people) and two open spaces, making it usable in a way matching the concept of an event. Nami Island is one of Korea's representative tourist attractions well known as a shooting spot for the famous TV drama Winter Sonata. 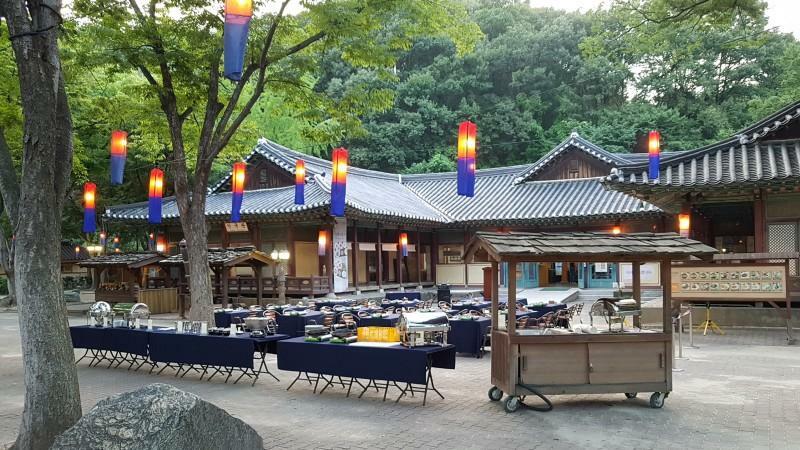 With the Magic hall equipped with its cutting-edge sound equipment, an outdoor stage, and seminar rooms, Nami Island is a good place to hold any kind of event, including international meetings and business seminars. The location where the 2005 13th APEC Summit was held. Surrounded by the beauty of dense camellias and pine trees, the site has been used as a memorial and high-class international conference hall after the Summit. Busan's greatest complex marina facility. There is an outdoor rooftop space on the third floor, and on the first basement floor there are banquet facilities of different sizes including a large conference room and a small conference room. The Bay 101's greatest charm is that visitors can enjoy on-board seminars on the finest yacht. 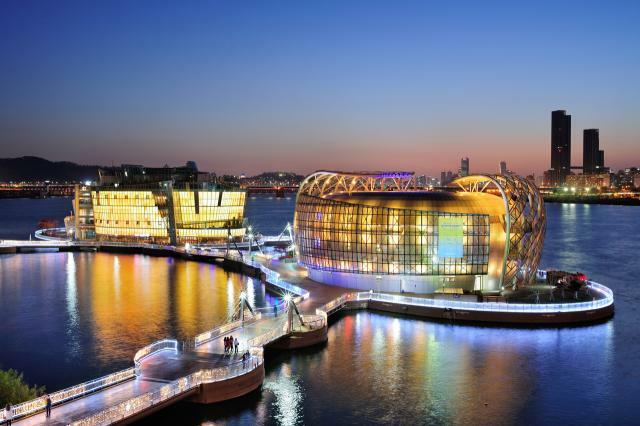 The location for the Busan International Film Festival as well as other varied international events. There are regular screenings of a wide range of popular movies and art films, and concerts, musicals, lectures, etc. are held here as well. Its LED roof 2.5 times the size of a soccer field, the biggest in the world, is a sight that shouldn't be missed. Location of today's national university and study of the cultural heritage of the Silla. 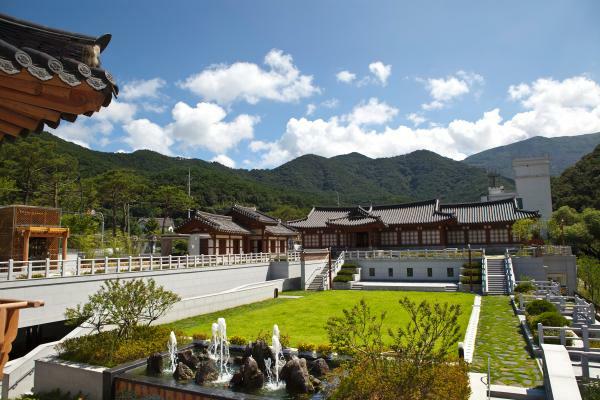 The village is centered on the House of Choe and a Confucian school, and it has been restored and is being used as a learning center, traditional experience center and Korean restaurant, and for workshops, etc. 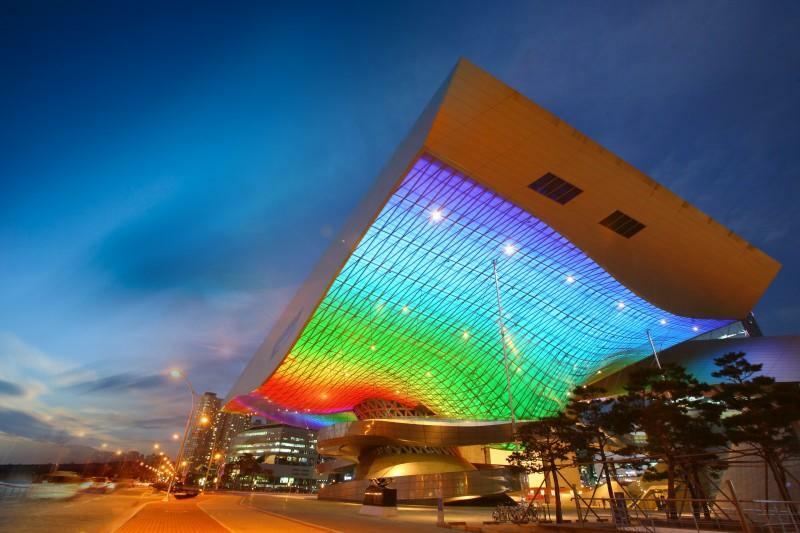 A combined cultural space built in 2015 for the promotion of the textile fashion industry. There is a textile museum where visitors can discover the past and future of the textile industry, a design studio, and a textile information room. It is easy to find from Daegu International Airport or East Daegu Station. 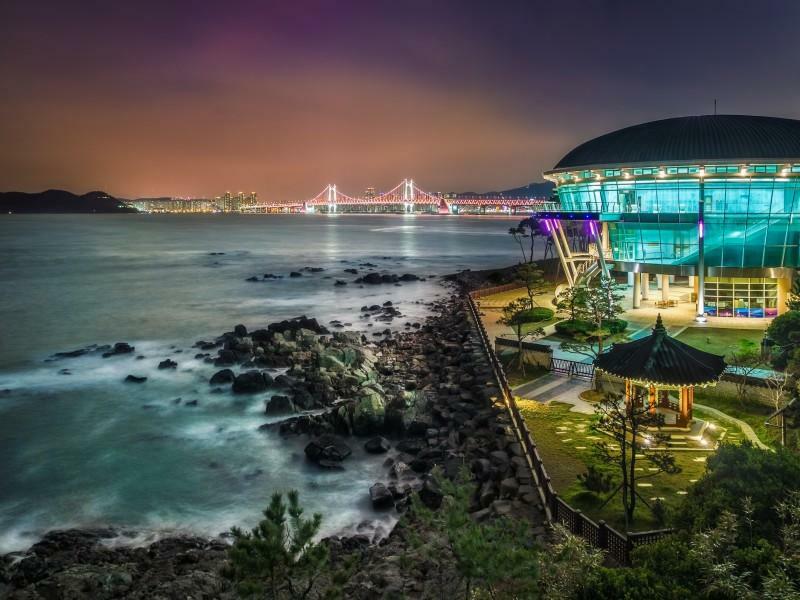 A marine park built right in front of the Jinhae ocean. At the Solar Tower, Korea's tallest solar power generation facility, there is a large conference hall that can seat 280 people, a small meeting room with 30-40 seats, a VIP waiting room, etc. ; a wide variety of facilities making it possible to hold meetings matching all sorts of use cases. 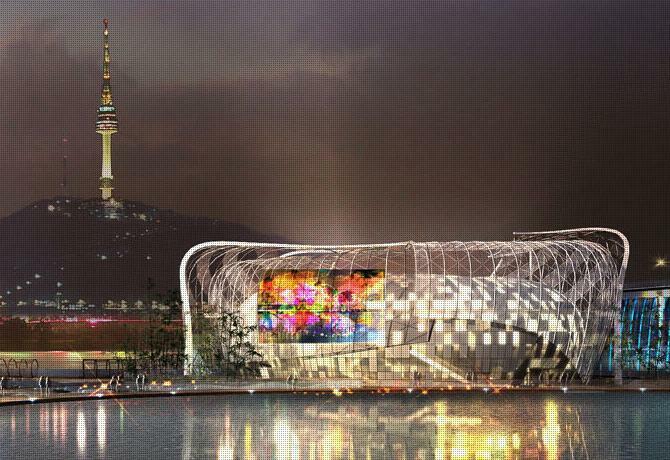 A 360-degree rotating restaurant that overlooks the entirety of Daegu City. A champagne reception is available when the whole restaurant is rented out, and dishes suiting foreign preferences, such as vegetarian, halal, etc., can be chosen. 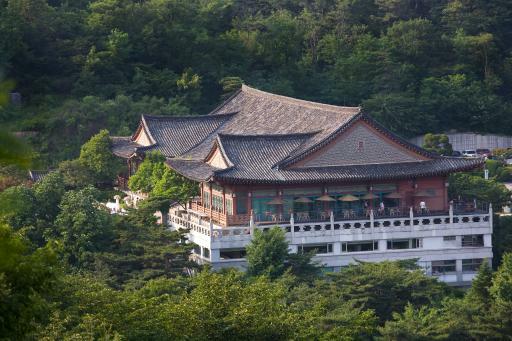 Hwangnyongwon is a training center located in Gyeongju Bomun Lake Resort. 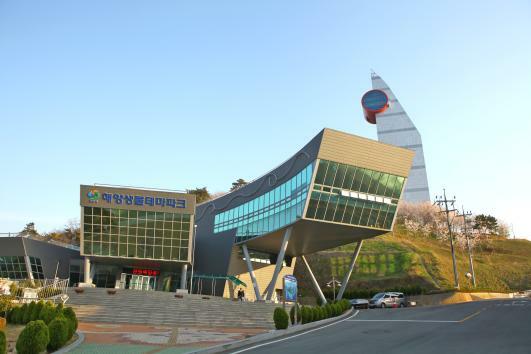 It includes Jungdo Tower which was modeled after the 9 floor pagoda Hwangnyongwon as well as a training institute. It education and various cultural events for enterprises, religious groups, general groups, etc. A place good for various events and workshops for small groups. 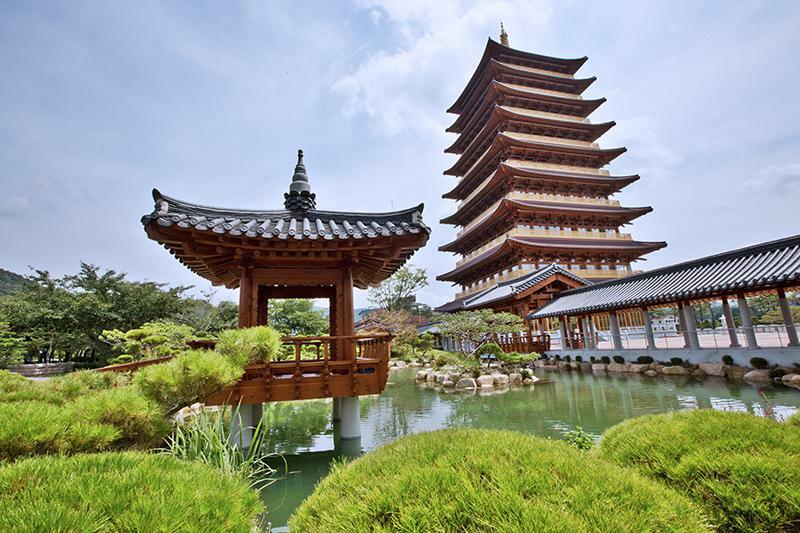 There are culture programs for locals and various tourist experience programs reflective of Confucian culture. The place that moved and restored the traditional Hanok Musongwon in 2012. It is located in the vicinity of Mudeungsan National park, and visitors can feel the untouched, old mood of Korea, with Seoseokdang, Ipseokdang, Saeindang, etc. A garden created by one farmer's sweat and efforts. 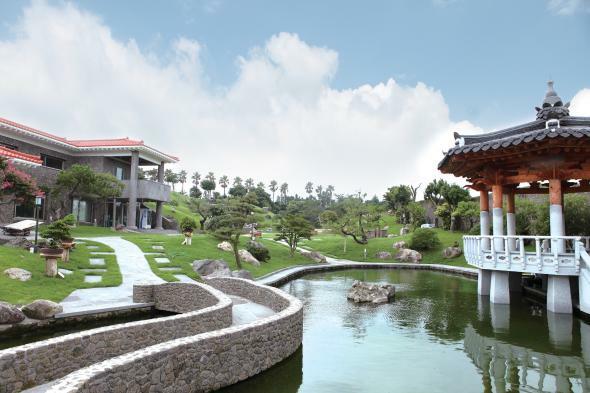 Inspired by Jeju's oreum and waters, the Garden has seven theme gardens and various facilities. This place is famous for having been visited by leaders of China including Jiang Zemin, Hu Jintao, Xi Jinping.